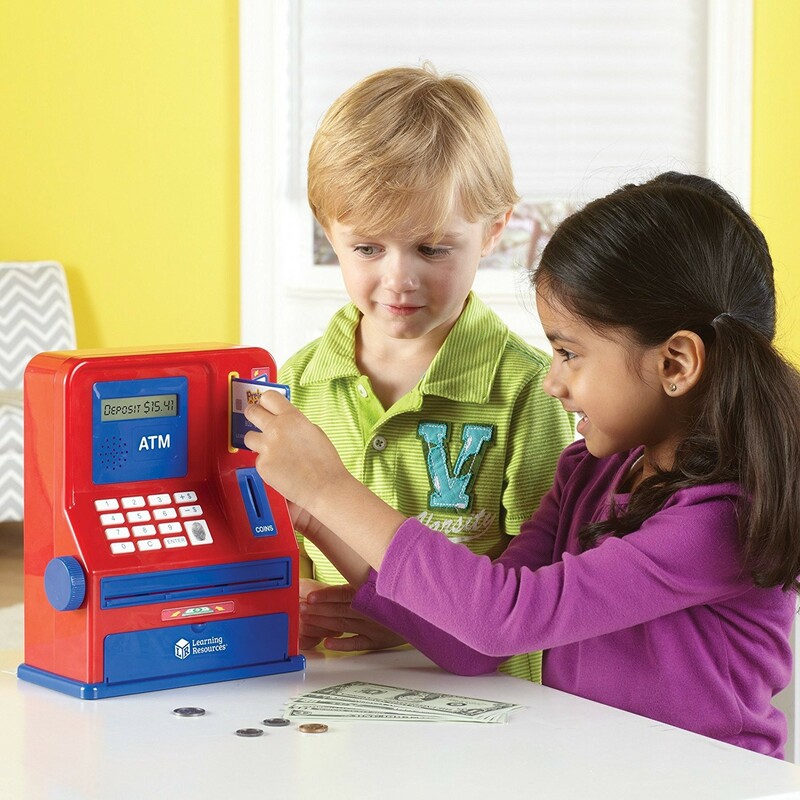 Pretend & Play ATM machines will talk math to your children as they play a bank, make deposits, withdraw money from their account, count coins and bills, and learn important mathematical and money savings concepts. 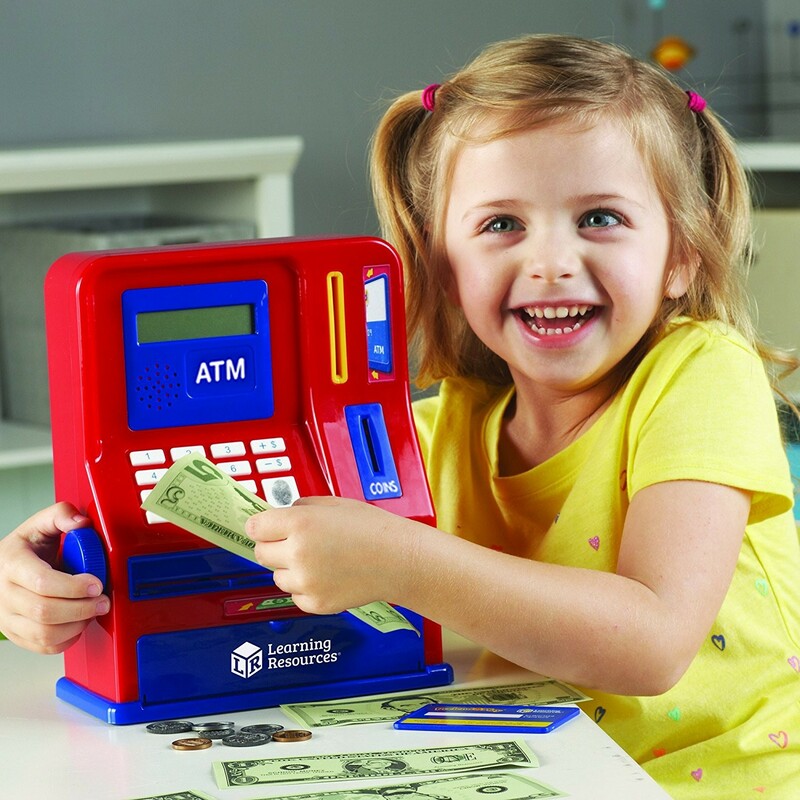 Kids want to use their own bank, like mom or dad! 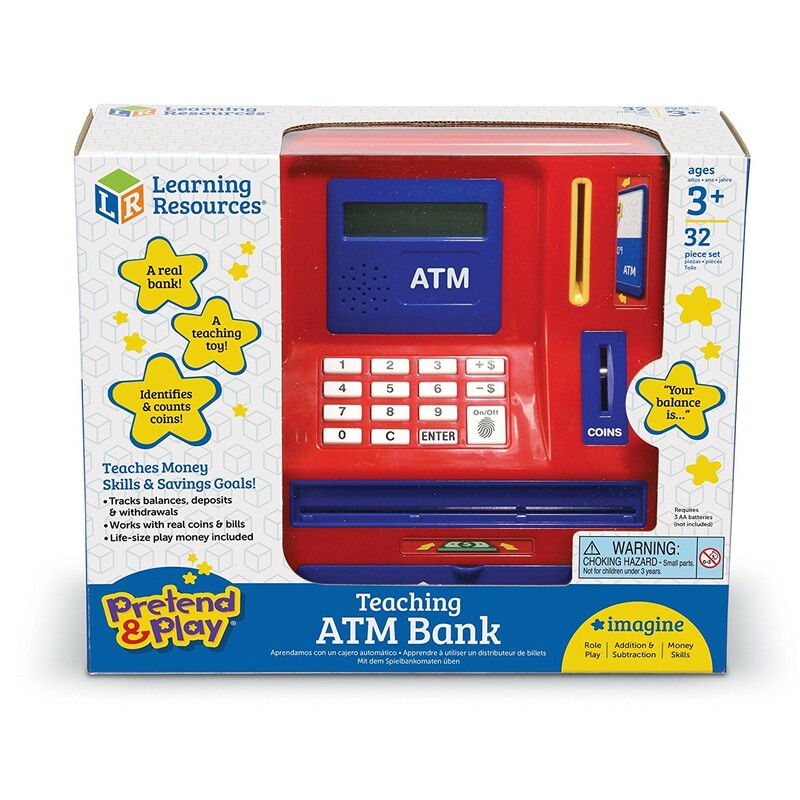 Teaching ATM Bank Electronic Toy by Learning Resources will ease the bank building matter. 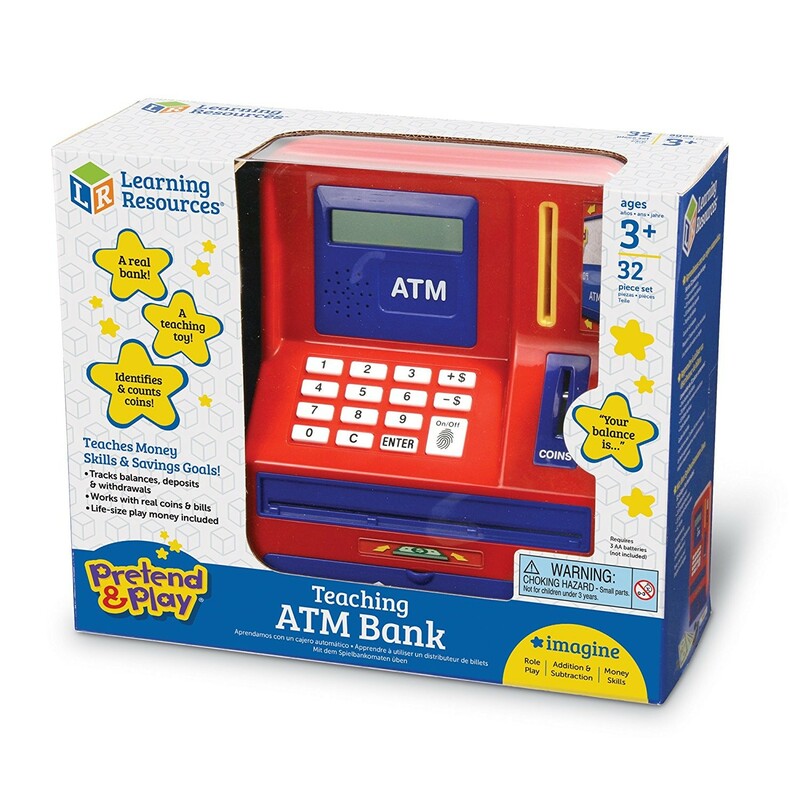 With this entertaining electronic kids ATM your children will learn basics of banking during fun imaginative play. 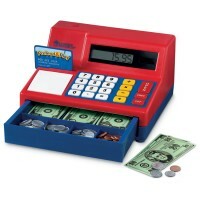 This Educational Toys Planet's ATM machine features an opening cash drawer, calculator, dispaly, talking coin slot that recognizes real coins, bank card with 4-digit pin and a special slot for it, hand knob that turns to make the bills deposit, and realistic play money. 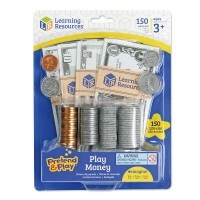 The pretend money are sized exactly like the real-life bills and coins, so your preschool child learn money and math. 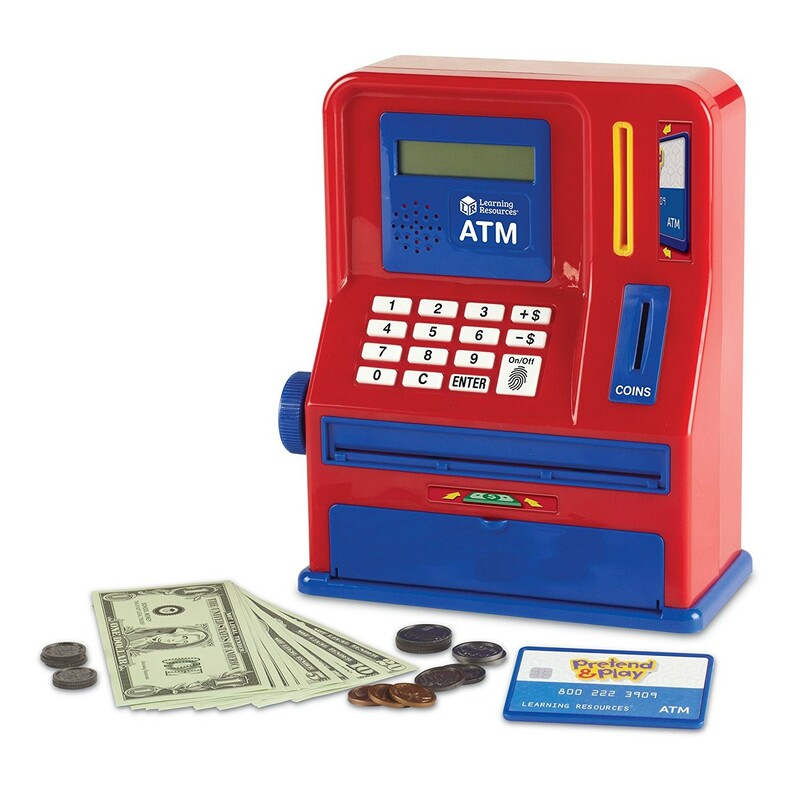 The pretend play ATM allows children to make deposits, withdraw money from the account, start saving account, play bank with play money, or keep real money in it. 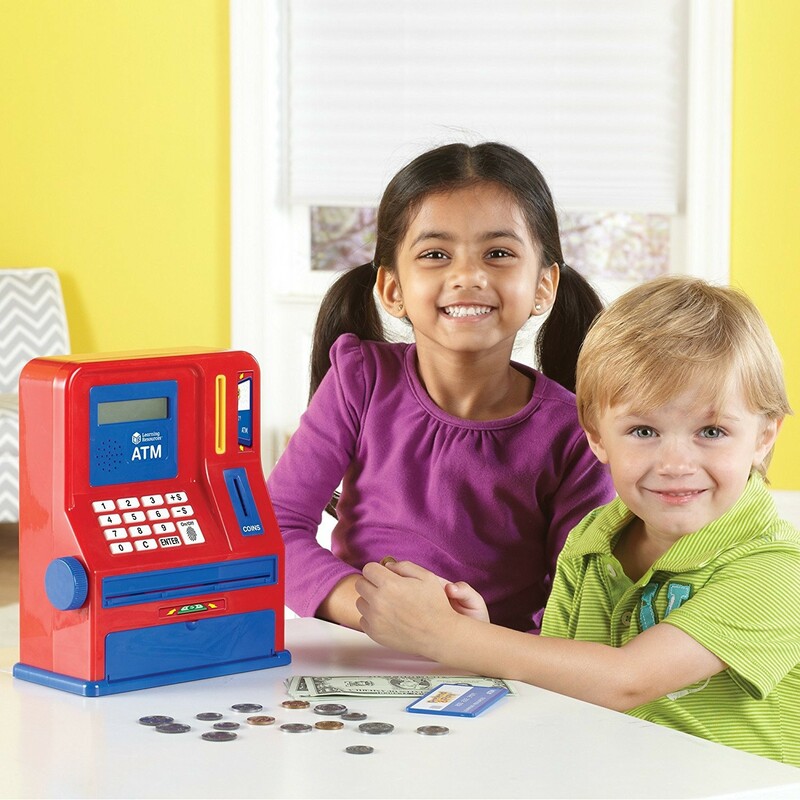 When your kids play with this toy bank, it is a good chance for the parents to teach children about savings and savings goals. 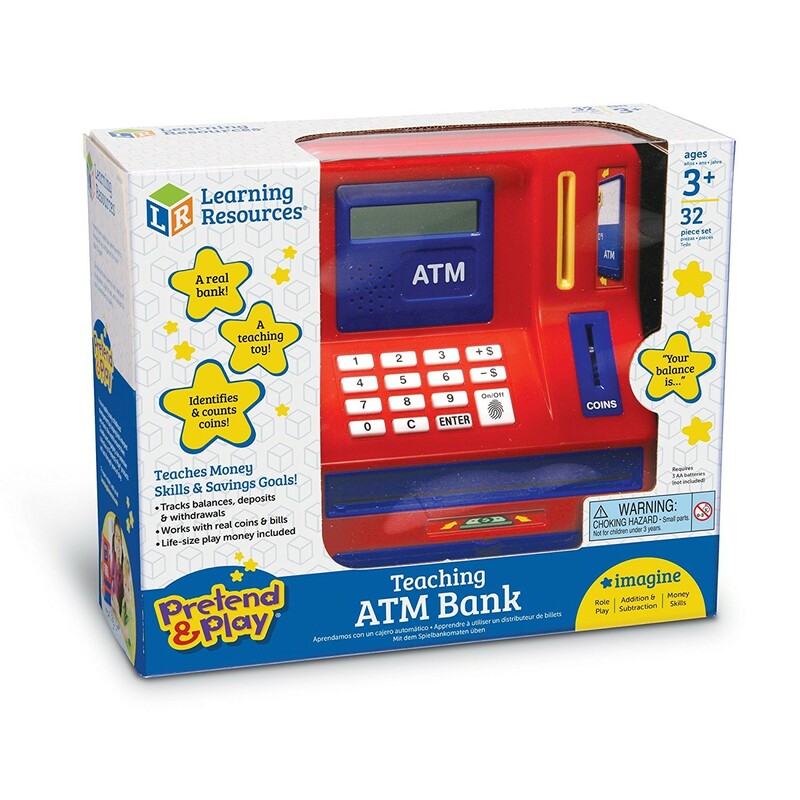 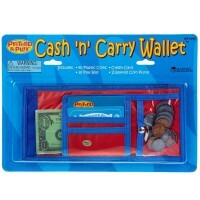 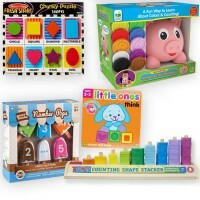 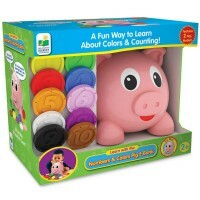 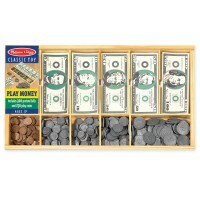 And for sure, learning money and math concepts is much more fun with the teaching bank like this one! 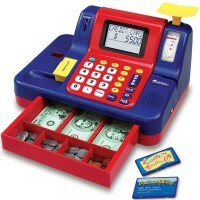 Teaching bank machine is 8 x 10 x 5 inches. 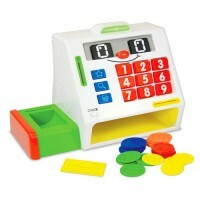 Dimensions of package 10.1" x 12.1" x 4.6"
Write your own review of Teaching ATM Bank Electronic Toy. 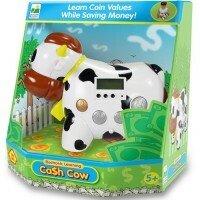 Rating: 5 by Linda, MD Just very clever and a realistic learning opportunity for kids. 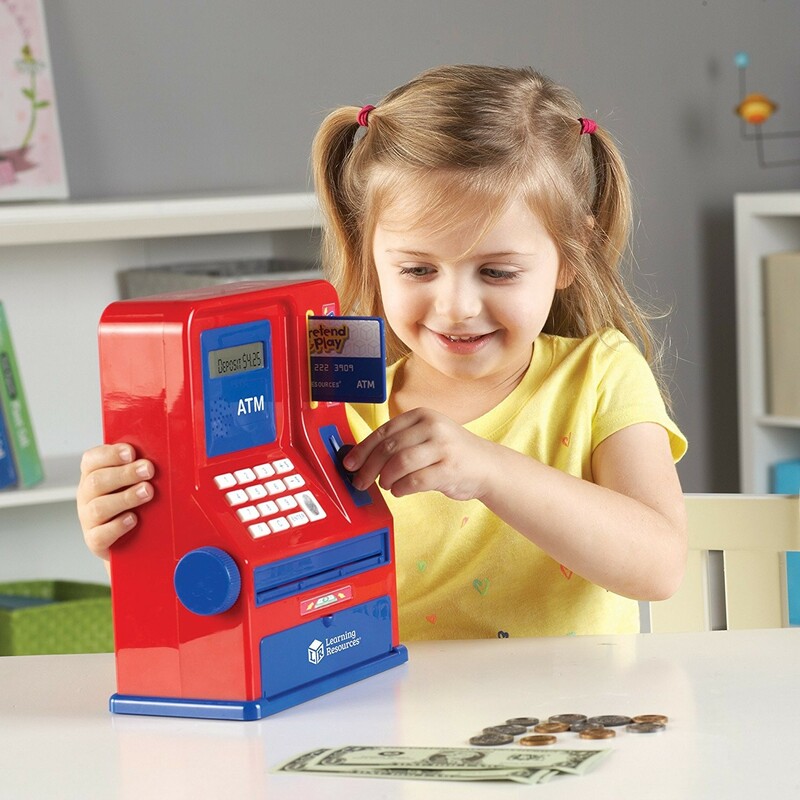 Think you should also include in intstructions what to do for a lost ATM Card. I think this will be a bank that will be enjoyed for a long time.